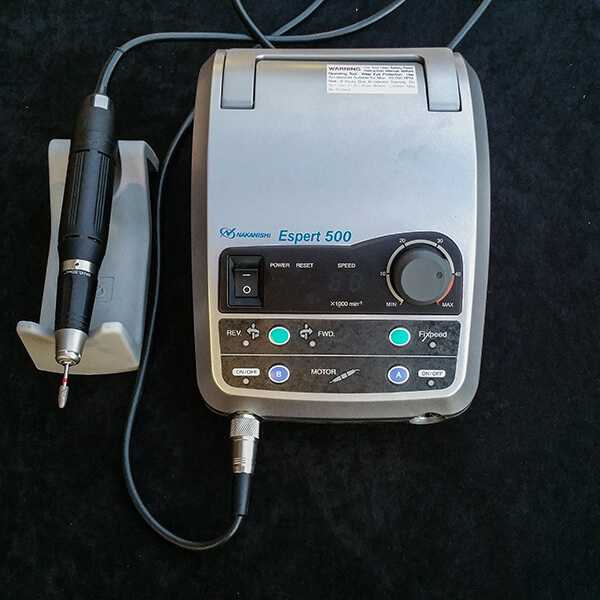 NSK Expert 500 Torque Micromotor: This unit is the top of the industry in micromotors. It has the high torque and speed needed to carve hard and tough stones like jade. The speed is adjustable up to 50000rpm. It comes with 1/8″ and 3/32″ collets. This is the micromotor that many of the top jade carvers in the world use. 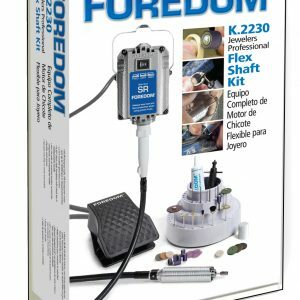 Cautions: Always adhere to the Maximum Speed Ratings of any tool you install in the collet of this micromotor. Always insert shaft all the way into the collet. Always start the motor running at 500rpm and then increase speed as needed. This micrometer has so much torque, speed and power that it can bend a burr at right angles if started at high speeds. Always wear safety goggles. Always wear an appropriate mask so you do not breath in particulates and harmful vapors. Always wear hand and body protection. Failure to adhere to these cautions can result in serious injury or death.